Enjoy the dazzling rays of the sun – in your very own room! 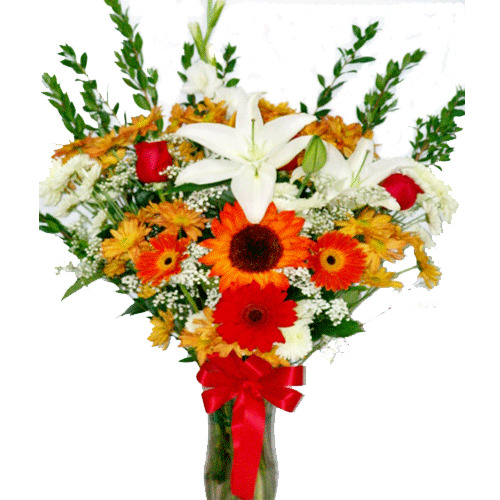 An orange sunflower, gerbera daisies, and white lilies are accented with red roses. Bring some sunshine home today! Standard Bouquet includes 18 stems. Premium Bouquet includes 26 stems.